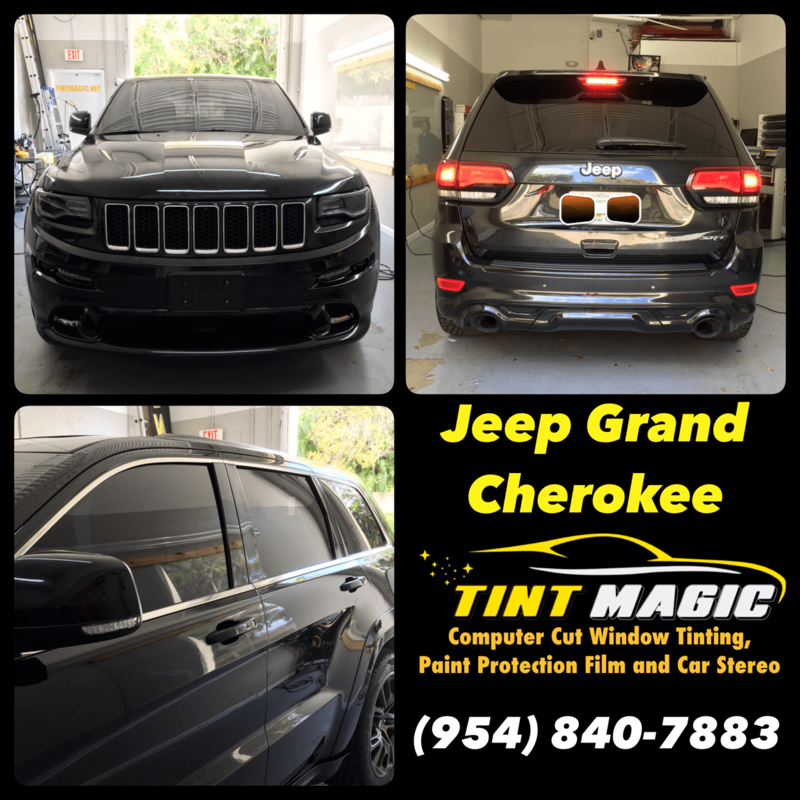 Jeep Grand Cherokee at Tint Magic Window Tinting Coral Springs. Call us for the best quality and service! (954)840-7883. We are located at 11344 Wiles Road Coral springs Fl, 33076. The Jeep Grand Cherokee is pretty much tops among mid-size SUVs when the road beneath isn’t actually a road. That said, there’s a difference between being capable of performing a task and being purpose-built to master it. And while every Wrangler is born to play in the dirt, none of the 10—yes, 10—different Grand Cherokee models offered for 2016 were configured specifically for the activity upon which Jeep built its brand. As before, the Trailhawk starts with the best off-road gear in the Jeep pantheon: the Quadra-Drive II four-wheel-drive system with its two-speed transfer case and Selec-Terrain dial, along with an electronically controlled limited-slip rear differential, hill-descent and -ascent control (HDC), a full gamut of skid plates, and Jeep’s nifty off-road app. The standard air springs can rise to provide up to 10.8 inches of ground clearance (0.4 inch more than any other air-spring-equipped Grand Cherokee) or lower the vehicle to ease ingress and egress. The rolling stock is no joke: Kevlar-reinforced 265/60R-18 Goodyear Wrangler All-Terrain Adventure all-terrain tires wrapped around aluminum wheels with matte-black inserts.